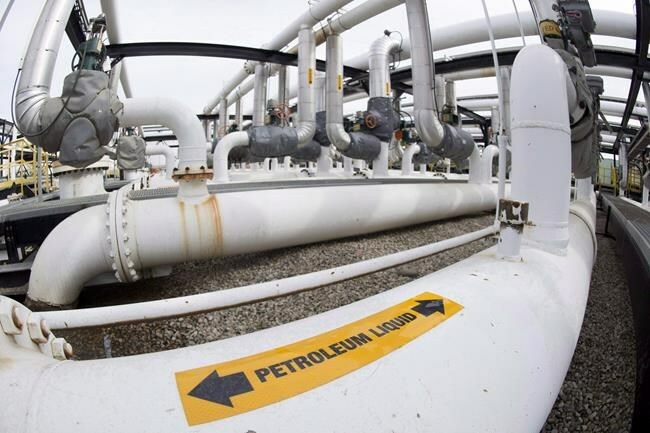 OTTAWA — Canada's energy regulator will tell the federal government this week whether it still thinks the Trans Mountain pipeline should be expanded, but cabinet's final say on the project's future is still several months away. The National Energy Board is reconsidering the project's impact on marine life, including highly endangered southern resident killer whales, after the Federal Court of Appeal ruled last year that the NEB's 2016 approval failed to properly take into account how the whales would be affected by having additional oil tankers in their waters. The report's delivery will start the clock on a 90-day deadline for cabinet to decide whether the controversial project will proceed, a deadline officials are already signalling could be pushed back. In addition to the NEB review, Natural Resources Minister Amarjeet Sohi has ordered a new round of consultations with Indigenous communities to satisfy the court. A team of 60 people has been assigned to consultation teams that have met with 70 communities since October, but that leaves 47 affected communities still waiting for a meeting. There is no deadline for those consultations to wrap up, but officials in Sohi's office have told The Canadian Press a final decision on whether the pipeline proceeds won't be made until those they are complete. There is also pressure to get the expansion built because Ottawa bought the existing pipeline from Kinder Morgan for $4.5 billion last August, after political opposition to the expansion left the company's shareholders reluctant to proceed. The impact of the expansion on the southern resident killer whales — of which only 74 survive — is key to the discussion. Conservationists say the pipeline will make their recovery nearly impossible. "The decision really comes down to: Will the federal government say that the economic interests associated with the pipeline outweigh the presence of having southern resident killer whales on the landscape," said Misty MacDuffee, a biologist with the Raincoast Conservation Foundation. The whales started the year on a high note with the birth of a new calf, and two more females in the population are pregnant. But the happy news comes with a major caveat: no southern resident baby has survived more than a year since 2015. The whales are being harmed by everything from boat noise and the decline in chinook salmon to contaminants in the water from sewage. The National Energy Board in 2016 did conclude the Trans Mountain pipeline expansion would "further impede" the recovery of the whales, but still gave the project the go-ahead because it said its mandate was to consider the impacts of the pipeline itself, not from project-related marine shipping. Fisheries Minister Jonathan Wilkinson said he won't prejudge what the National Energy Board will say, but he is confident the government has put in place enough new protections for whales and other marine life to mitigate the impact of the pipeline. "No government has ever taken these kind of steps to try to address a critical species like the southern resident killer whale," he said. The Oceans Protection Plan, a $1.5 billion federal policy unveiled in 2016, includes new protected areas for the whales; attempts to recover their main food source, Chinook salmon; new research on water contaminants; and plans to reduce noise from the thousands of boats that travel near the whales each year. The plan was not in place when the National Energy Board first reviewed the project, and Wilkinson notes the court didn't take it into account either. MacDuffee said there is nothing that can currently be done to reduce the effects of boat noise on the whales. She adds that while the government says only six more tankers a week will be added, those six tankers will mean the whales will go from being in the presence of boats about 85 per cent of the time, to more than 95 per cent of the time.